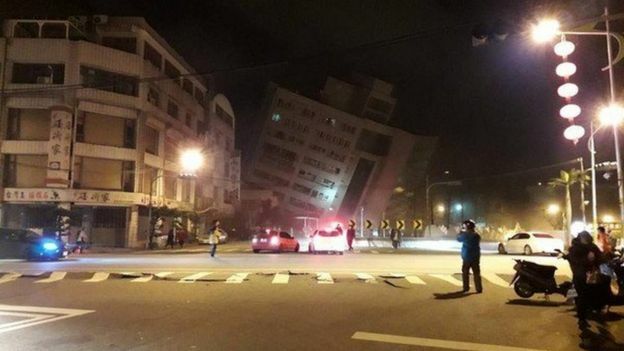 A hotel has collapsed after the strong and powerful earthquake hit Taiwan 20km off the island’s east coast. What damages are made till now? A 10-storey building- a hotel, Marshal Hotel has collapsed from the basement. Picture of tilt buildings is making rounds on the internet. People with phones are shining their lights to let people know they’re there. The number of rescued from the building has reached 28 where some were seen crawling to safety exit.